From the New York Times, bestselling author Kwame Alexander comes Rebound, a dynamic novel in verse and companion to his Newbery Award-winner, The Crossover, illustrated with striking graphic novel panels. Before Josh and Jordan Bell were streaking up and down the court, their father was learning his own moves. In this prequel to Newbery Medal winner The Crossover, Chuck Bell takes center stage, as readers get a glimpse of his childhood and how he became the jazz music worshiping, basketball star his sons look up to. 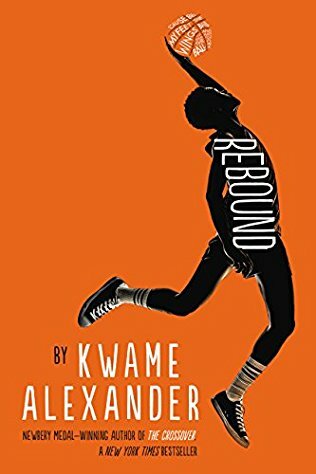 A novel in verse with all the impact and rhythm readers have come to expect from Kwame Alexander, Rebound will go back in time to visit the childhood of Chuck "Da Man" Bell during one pivotal summer when young Charlie is sent to stay with his grandparents where he discovers basketball and learns more about his family's past. 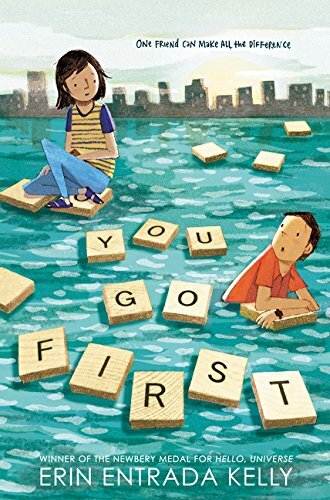 Newbery Medalist Erin Entrada Kelly’s You Go First is an engaging exploration of family, bullying, spelling, art, and the ever-complicated world of middle school friendships. Her perfectly pitched tween voice will resonate with fans of Kate DiCamillo’s Raymie Nightingale. Over the course of a week, Charlotte and Ben—online friends connected only by a Scrabble game—will intersect in unexpected ways, as they struggle to navigate the turmoil of middle school. This engaging story about growing up and finding your place in the world by the Newbery Medal-winning author of Hello, Universe and the winner of the Asian/Pacific American Award for Literature will appeal to fans of Rebecca Stead and Rita Williams-Garcia. Journey to an underground world where adventure awaits and heroes are made in this middle-grade novel from the bestselling, Pulitzer-nominated author of The Monk of Mokhaand Her Right Foot. 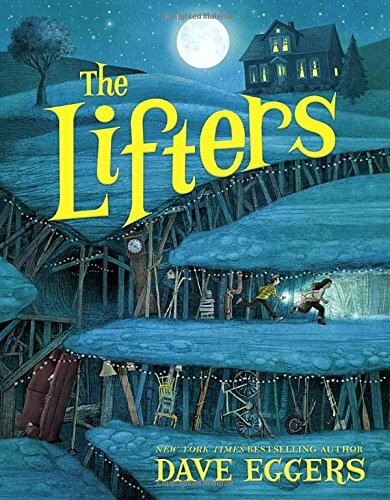 When Gran's friend, the difficult-to-impress Catalina Catalan, presses a silver handle into a hillside and opens a doorway to an underground, he knows that she is extraordinary and brave and that he will have no choice but to follow wherever she leads. With luck on their side, and some discarded hockey sticks for good measure, Gran and Catalina might just find a way to lift their town--and the known world--out of danger. In Book 3 of a three-book series, when Lily, aka the "witch queen" and bat-rider extraordinaire Thorn travel to Sultanate of Fire, things go terribly wrong. Instead of celebrating a reunion with their old friend K'leef, they are thrust into royal murder, an epic quest, and a deadly battle for the throne. While investigating the murder, Lily learns shocking truths about her life that could destroy all she has achieved. Yet, among the ruins of her old life, she has the opportunity to become someone greater . 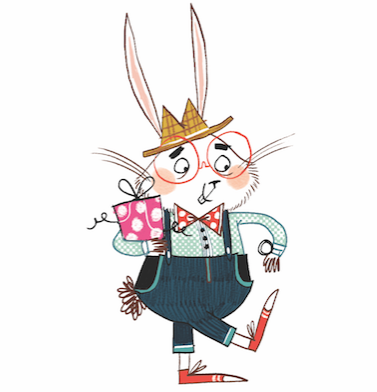 . . and more terrifying. Thorn and the magnificent bat, Hades, join the timid K'leef and the idiotic Gabriel Solar in a quest to find a phoenix. These fire birds are the key to saving the sultanate, but they nest within the Shardlands. The boys must defeat not only the monsters of that magical wilderness but also rivals eager to claim the throne for themselves. Rivals that include a renegade from House Shadow . . . 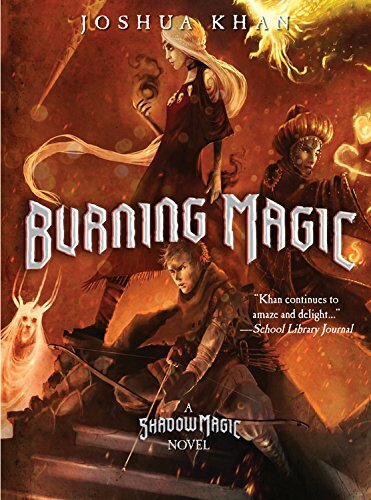 Chilling surprises, ghostly encounters, and belly laughs are just some of the treats in store for readers of this burning-hot desert adventure.